It is difficult to imagine an apartment without a TV, which is a very important part of our daily life. Unfortunately, not always the quality of the transmitted image satisfies the user. Therefore there is a need in improving it. Explore TV cable. Its protective layer should not be disturbed. Very often during repairs, the cable is accidentally hurt. Its integrity is violated. Because of this, the quality of the transmitted signal drops significantly. If your cable is very old, it should be replaced. The fact that over time the wires start to lose their chemical and physical characteristics. The level of comprometimento reduced. And this entails a deterioration of the signal. Also avoid additional unnecessary connections. If the cable is too short, you should not build or do the insert, connected the wires may have different cross sections and characteristics. If you do decide to build the cable, the connection should be soldered. Then the loss of the transmitted current will be minimal. Also be sure to carefully insulate the connection. Buy a powerful receiver. 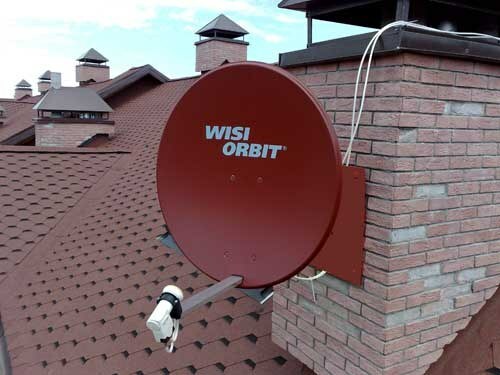 This device will allow the connection to a satellite dish to significantly improve the quality of the received signal. The alternative may serve as the antenna amplifier. This amplifier is better to buy separate food, to get more clean signal. It is recommended to connect the amplifiers and a satellite dish through a network filter. The fact that the constant minor fluctuations of the current disastrous impact on such devices, and the unexpected sharp jump can not only cause interference on the TV screen, but to disable the amplifier and the plate. Try to change the direction of the antenna or satellite dish. If you get a signal with an external antenna, learn the location of the nearest television tower for your home. The higher you live, the signal is easier to reach you. If you live on the lower floors, ask neighbors for permission to install my antenna. Try to install the antenna on the side which is closest to the television tower. When connecting carefully check all wires and connections. The plugs on the cables must not be oxidized or dirty. Install special programs to improve the quality of the image if you are watching TV channels using a computer. Currently on the Internet there are a considerable number of programs that help stabilize and improve the signal. It also depends on the TV tuner. Before purchasing this appliance, consult with a specialist. Better silent to pay, but to get a good model that will give a great signal.